In 2014 Damien Chazelle directed the music-oriented thriller Whiplash to great acclaim. I liked that movie but not nearly as much as most people I know. 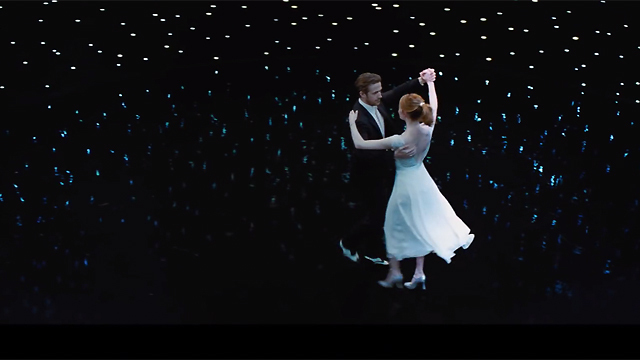 His latest music-oriented romance La La Land I like much better, but I still don’t know if I love it as much as most. If there ever was a case of being a bit disappointed a film is only in my top 10 of the year than this is it. It’s lovely, nostalgic and a joy to watch but not the perfect movie I was hoping for. 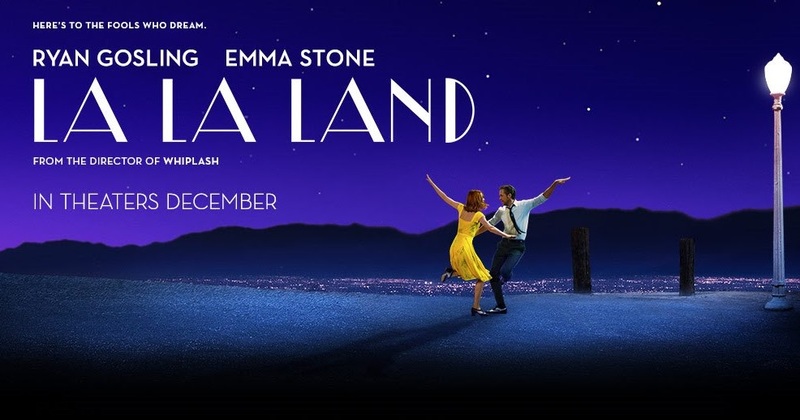 La La Land starts out as an homage to old school Hollywood musicals like Singing in the Rain and American in Paris. In probably my favorite sequence, we are introduced to the world of LA through a musical sequence on the crowded LA freeway. Then we meet our lead characters- struggling jazz pianist Sebastian (Ryan Gosling) and struggling actress Mia (Emma Stone). They meet through a series of meet-cutes and it is their dreams of artistic greatness that unite them and help them to fall in love. That is the theme of the movie that there is something noble about those who dream and keep trying to succeed in LA. However, I must warn you guys. If you are expecting a Broadway style musical you might be disappointed. La La Land clearly shows Damien Chazelle’s jazz background. In fact, I would call it more a jazz/dance showcase than a musical. In the middle there really aren’t any songs aside from a song played by Sebastian’s band and him playing jazz at a piano. Ryan Gosling rarely sings in the movie and when he does it is more a gravely quiet voice not a Broadway style singing voice. I’m not saying this is a bad thing. It’s just what it is. There’s more dancing than singing than I expected, and I particularly enjoyed a tap dancing sequence called A Lovely Night. This captured the nostalgia that Chazelle was going for. The side characters including John Legend aren’t developed very well but it doesn’t really matter because Gosling and Stone have terrific chemistry. You bought them as these struggling artists and hoped they could find a way to both achieve their dreams. The cinematography by Linus Sandgren is lovely and I completely understand why everyone in LA is going so nuts for it- their city never looked better. It would be a funny comparison to look at this and Terrence Malick’s Knight of Cups back to back. You couldn’t get two more different interpretations of the movie industry and LA! However, the true star of La La Land is the score by Justin Hurwitz. It is without a doubt the best of the year. Especially if you love jazz music you will love this score! Most of the songs didn’t stand out to me the way the songs in Sing Street or Moana did but the score was beautiful. La La Land at its core is a movie about work, which is a subject close to my heart and something I often contemplate. The dreams of Sebastian and Mia are ostensibly about their jobs. They aren’t dreaming about families or possessions. In fact, such things are literally hindrances from achieving their dreams. They want to do something great- meaning they want to have their dream jobs in the movies and music. The interesting question the film fails to ask (and fails in Whiplash also) is does this dream when granted equal a happy life? You will have to see how their dreaming impacts their love in the movie but in my experience happiness is more ephemeral than can be contained in ANY job. Perhaps the movie argues that art/music is where the real happiness comes from but that feels a little hollow to me compared to the happiness of family and faith. Also, the movie dove a little bit into the sacrifices of dreams couples must make in order to be together, but I could have used even more of that. Anyway, that’s a bit of a tangent. 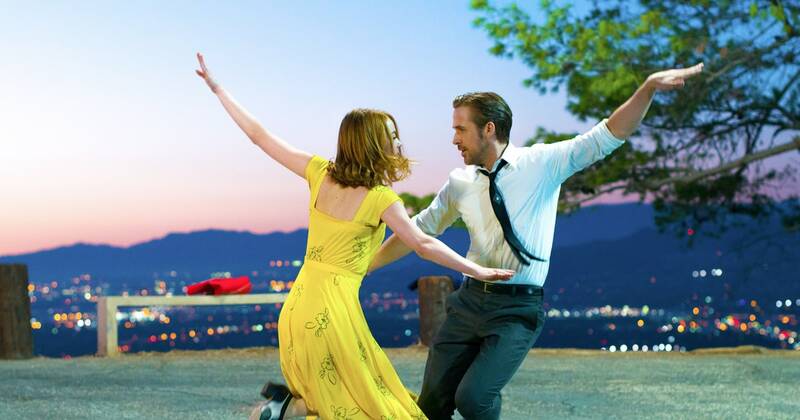 La La Land is a beautiful movie about dreamers with a jazz showcase of songs and music. What’s not to like about that? It’s light, fluffy and very entertaining to watch. 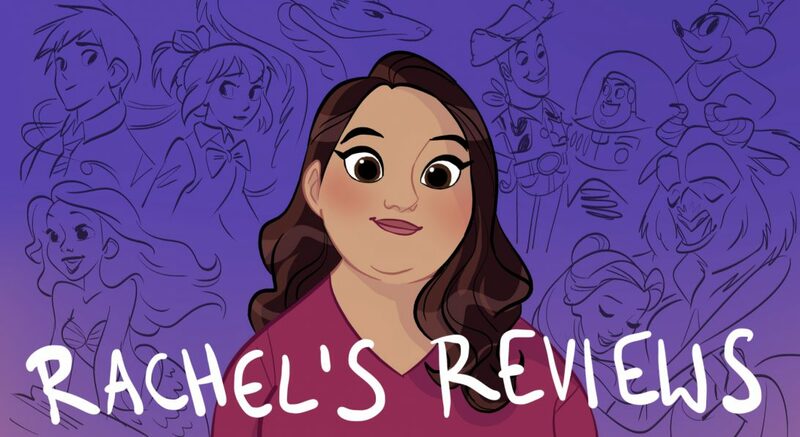 I did not connect with it as emotionally as Sing Street or Moana and none of the songs were as good as those movies songs but it still was a very enjoyable, engaging film. I think a lot of people who don’t typically like musicals will like this film because the songs are fairly sparse and done in a jazzy way not a Broadway style. It’s something couples should see together- once on Netflix it will be the perfect cuddle movie. I guess it might sound like I am being critical of it but I really did love the film. It was wistful, nostalgic and magical. However, I’m not sure how long it will stay with me and if it will be a favorite musical of mine the way I’m sure Sing Street and Moana will. But that’s just me. It’s still really good! You should all see it.